The location was centric. The stores where nearby. 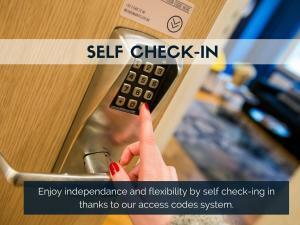 I also liked the efficiency and how we only needed a code to enter our flat. The kitchen was equipped with everything needed. 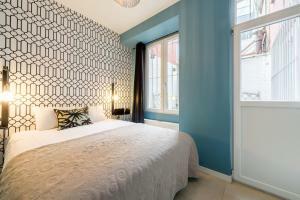 If you are looking for a cheap place and don't mind the negative aspects then this is an option. Location is good, very convenient for life and public transport. However it is a bit noisy because the flat is just next to a shopping center where a lot of people pass by every day. excellent location, car park is within 200 mtr of the apt (at a very decent rate of 14 euro/day). The stairs are steep (to the 3rd floor) but you are warned upfront so no complaints! Perfect location for the city. Parking was just around the corner at €14 a day. 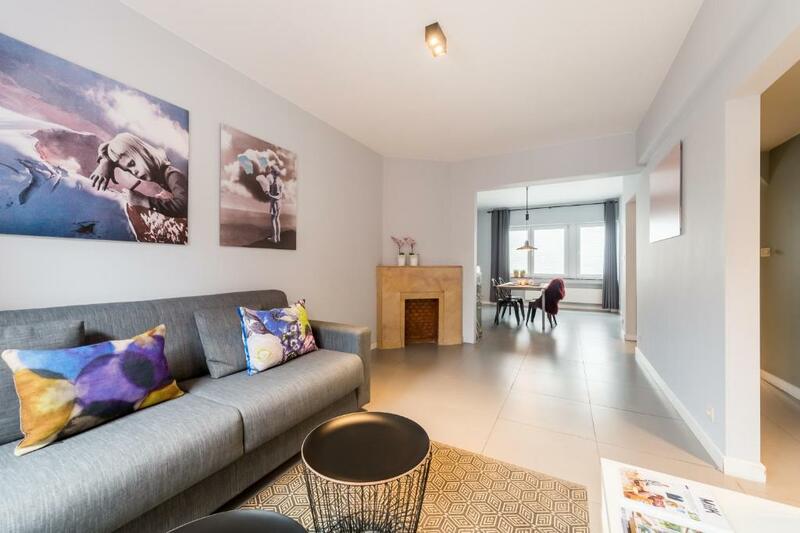 Fantastic location in downtown Liege - within walking distance of many of the city's main sights. Comfortable, clean and spacious apartment. Bequemes Bett, sauber, gut eingerichtet. Netflix vorhanden. Alle Sehenswürdigkeiten und der Markt bequem zu erreichen. Très bel appartement, très spacieux et confortable idéalement situé Je recommande ! Bien situé et confortable. Il y a ce qu'il faut pour séjourner et l'accès par code et pratique. 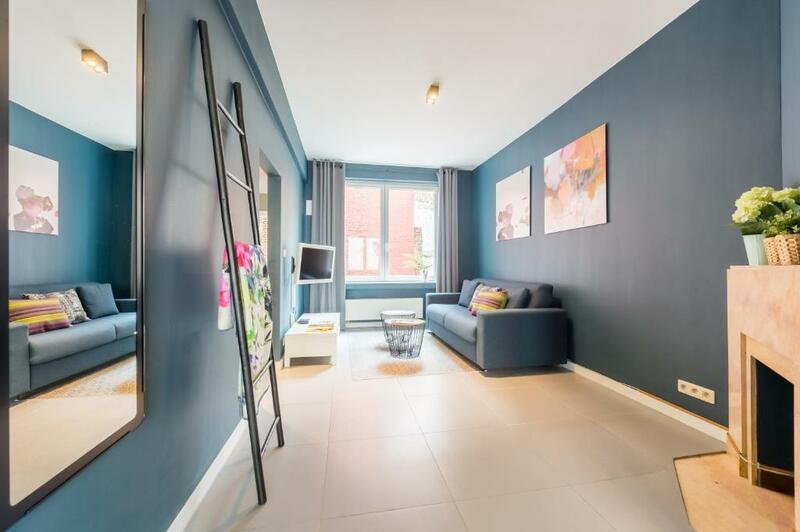 One of our top picks in Liège.Saint-Gangulphe Flats features elegantly designed apartments in the center of Liège. Shopping center Les Galeries Saint-Lambert is 1,000 feet from the apartment. Free WiFi is available. The living rooms are decorated with a large sofa and flat-screen TV. The bedroom opens on to a private terrace. Bathrooms at Saint-Gangulphe Flats include a bathtub and a shower. Meals can be prepared in the modern kitchen. The kitchen is equipped with an oven, a stove, a microwave and a fridge. Coffee and tea making facilities are also available. Liège’s Opera House is located 1,300 feet from the apartments. 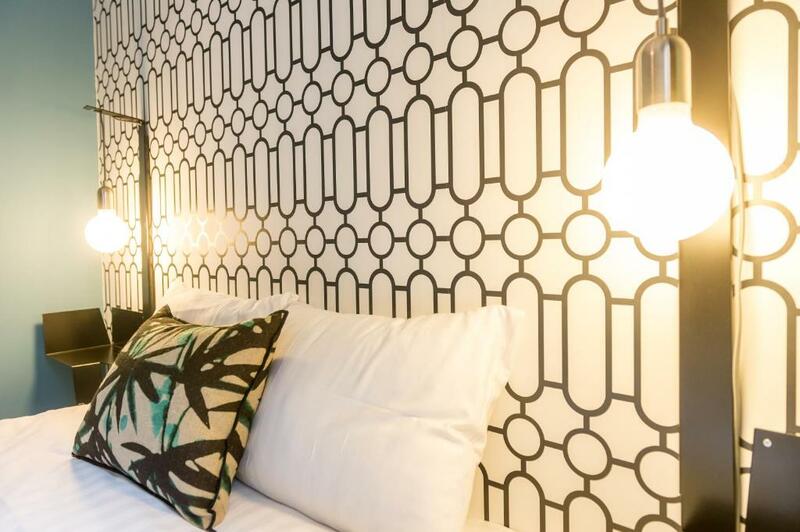 A 4-minute walk from the hotel, guests can take bus 74 at the Liège Place Saint-Lambert to several destinations. This property also has one of the top-rated locations in Liège! Guests are happier about it compared to other properties in the area. 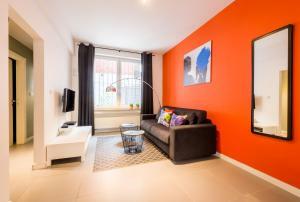 뀐 Located in the top-rated area in Liège, this property has an excellent location score of 9.1! 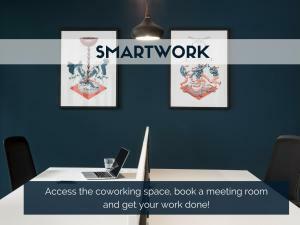 When would you like to stay at Smartflats City - Saint-Gangulphe? 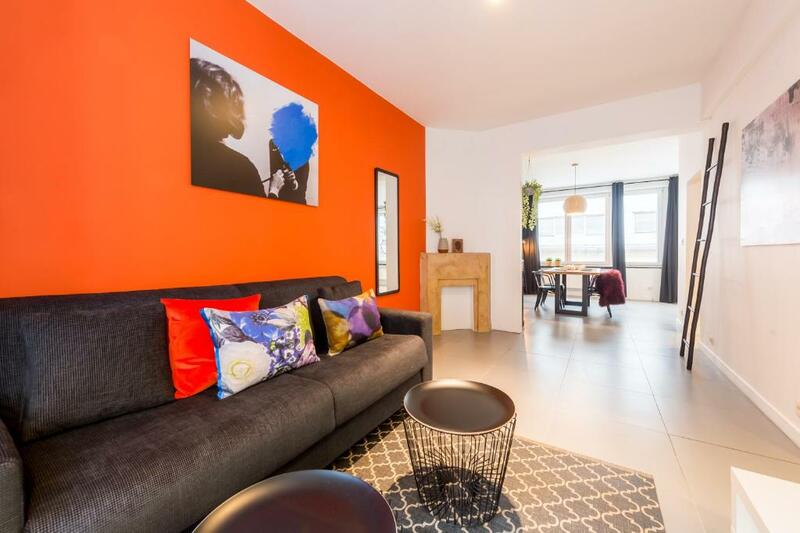 This apartment features a living room with large sofa and flat-screen TV and a fully equipped kitchen. The bathroom has a shower and a bathtub. This penthouse features a kitchen, flat-screen TV an seating area. The bathroom is fitted with a shower and a bathtub. House Rules Smartflats City - Saint-Gangulphe takes special requests – add in the next step! Smartflats City - Saint-Gangulphe accepts these cards and reserves the right to temporarily hold an amount prior to arrival. 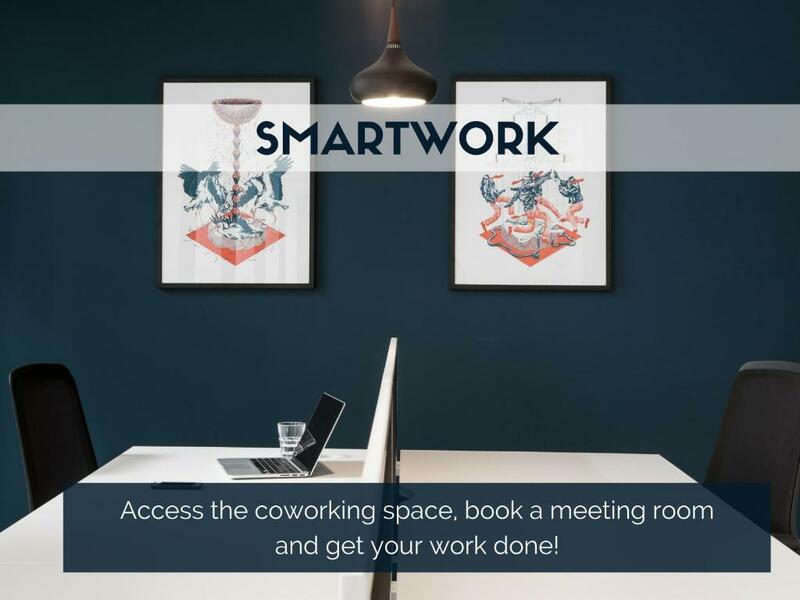 Guests have access to SmartWork, a coworking spaces with meeting rooms. There is no elevator at the property and upper floors are only accessible by stairs. The accommodations is not suitable for guests with reduced mobility. Please inform Smartflats City - Saint-Gangulphe of your expected arrival time in advance. You can use the Special Requests box when booking, or contact the property directly using the contact details in your confirmation. The stairs are steep and narrow.Things are old. There is mold at the bathroom ceiling. Door handles are falling apart and the toilet was also old . The windows were dirty as well. The sofa was not comfortable. A lot of noise at night. The sofa bed is not comfortable. The sound insulation is not good, one can easily hear the walking and noise on the upper floor. In addition, one should push hard to open the main entrance door. A couple of extra coffee pads, but wouldn't really consider this a negative point. It was very dirty and cold. The wi fi password was wrong or there was no data. The stairs were life threatening. It was awful. The street door must have been damaged at some point and wouldn't open. It took many attempts and a couple of phone calls to the Smartflats 24/7 contact number before we were told we had to really shove the door as it was stuck. It took the combined weight of two of us to get the door open. This should really be fixed as I would have been unable to open the door if I'd been on my own.